Interview About Lang-8's New Service: HiNative YangYang Xi and their new mascot, Momonga give us the scoop! Most everyone who reads Tofugu knows about the language learning site Lang-8 (and if you don't you should check it out). 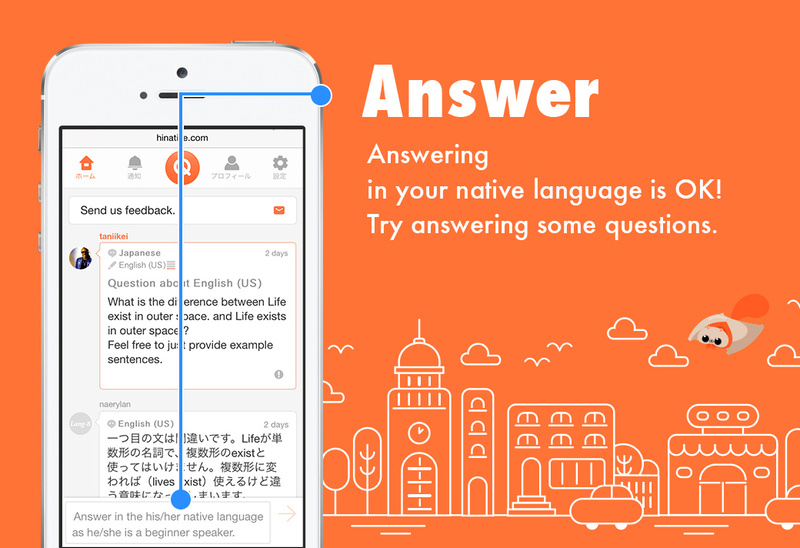 Lang-8's creator, YangYang, has recently released a new service which has seemingly spawned from something that comes up a lot in Lang-8: People want to ask questions about languages. There is a saying in Japanese: Mochi wa Mochiya 餅（もち）は 餅屋（もちや）, which literally means "you should ask a rice cake shop about rice cakes" and figuratively means "leave it to a specialist." We wanted to know more about this new service so I talked to the CEO of Lang-8, YangYang Xi. He will answer all our questions about HiNative in this article so we can learn more about it and why they created it. I was born in China, moved to Japan at the age of four and grew up in Japan, so I was never really good at speaking Chinese when I was younger. So when I was a university student I went to Shanghai to study the Chinese language for one year. During that time, I did a language exchange and my Chinese skills rapidly improved. I then thought it would be a great service. 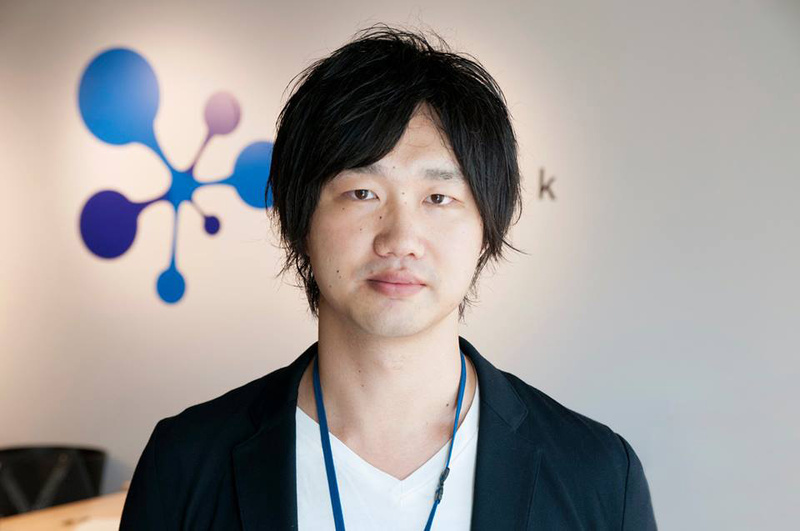 After coming back to Japan, I developed lang-8 with my friend and made it into company after my graduation. Thanks to everyone, it grew in to a worldwide service with about 870,000 users from 190 countries (4 more countries to conquer the world). 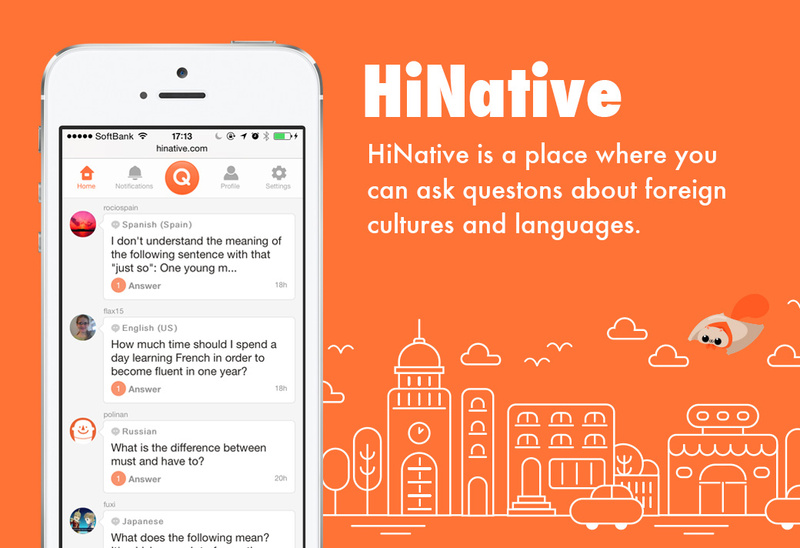 Then, this year, we launched a new service (still need to improve a lot of things though) called HiNative which enables you to ask native speakers any questions at any time. I can't wait to introduce this awesome new service to you all! Q. Really quickly for the people who don't know, what is Lang-8? Lang-8 is a language exchange platform, which is an SNS language learning service that native speakers utilize to teach their languages to each other. Q. How did Lang-8 go from your bedroom to the company it is today? I just wanted to make Lang-8 bigger, so I set up a company. Q. Why should people use Lang-8? I think learning from native speakers is the shortest way to improving language skills. That's how I improved my Chinese and Lang-8 enables everyone to do so without actually going abroad. Q. So you now have a new service called HiNative. What is that? It's a service where you can be frank about asking native speakers about absolutely anything, including language-related things, as if you were saying "Hi!" to them. 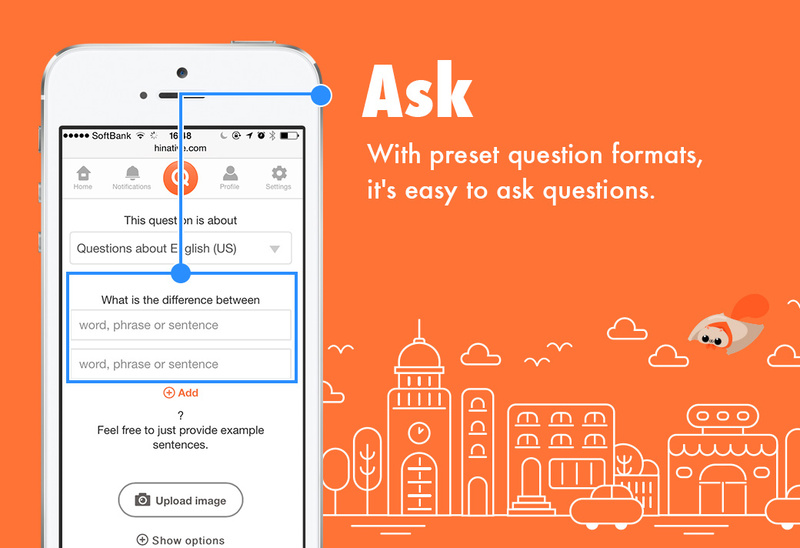 It's aimed to be used on the Smartphone or tablet, though we are still in the middle of developing the app, so literally you can ask questions from anywhere you are with a simple press of a button. Q. Why should people use HiNative? In my experience, I often come up with random questions about the language I am learning and/or some cultural things of other countries. I could ask my friends to find the answer out, but I don't want to bother them too much. I think many people have similar experiences. In such situations, if you have "HiNative" on your phone or tablet, you can freely ask questions without imposing on your friends. We also set up some question forms that people can make a question sentence just by tapping the screen because we want HiNative to be very user friendly for everyone. We received a lot of Lang-8 user's voice messages saying that they don't even know how to ask questions, though they have many things to ask in their minds. So we hope this format option will be helpful to such people. You can choose the language level you believe yourself to be at, so if you choose beginner, it is often that you will you be replied back to in your native language. Q. Can you give me some examples of how somebody might use HiNative in real life? You may think you can just Google the meaning of a word, but if you are a serious language learner, you'll probably know that the dictionary is not always right. Even if it is right, the word you searched may be too formal for the situation you're in. So when you want to find the true and natural usage of a word or a sentence, HiNative will be a perfect tool for it. As I said above, you can ask any questions such as "What is the current most popular thing in the country?" Furthermore, if you are at a restaurant and you don't understand what the menu says, you can take a photo, upload it, and ask native speakers what it is. In the future, we will make it an option to upload sound or video and a native speaker will be able to answer whether or not your pronunciation is right. There are a lot of uses. ￼As a real life example, I thought this one is quite unique. The Chinese person named bebe found the word awamori 泡盛（あわもり）り on a face washing soap. Awamori is actually a type of alcohol and that's the only meaning that they found on their dictionary. So they were wondering why it was written on the soap. Japanese people answered it is not a common usage and only used to emphasize that there are a lot (mori 盛（も）り) of bubbles (awamori 泡（あわ）り) that the soap can make as a pun of the famous alcohol awamori 泡盛（あわもり）. I'm pretty sure that bebe would not be able to find out the answer without asking native speakers. Q. Do you have plans for an app in the future? We are currently making the app. HiNative is intended to be used with smooth operation on smart phones and tablets just tapping the screen. There are so many language-learning sites right now, but most of them are "contents-type", which offer you a set material. On the other hand, the "SNS-type" such as Lang-8 and HiNative aren't that numerous yet. In that sense, I think our services still have great potential. Q. How could language learning be improved more (in general)? I believe that you can improve language by actually using the language that you have learned and by making a lot of mistakes, then ask native speakers to fix it or adjust your requests. Q.How are you trying to fix those problems with Lang-8 / HiNative? Even though you are in an environment without native speakers around you, you can get the language you are learning fixed by native speakers on Lang-8 and ask questions to them via HiNative without any wait time. If you study with non-native speakers, you may not learn natural expressions, but you can learn natural phrases from native speakers on Lang-8 and HiNative. Q. What do you think language learning will look like 10 years from now? I'm not sure about 10 years from now, but in the near future the technology will be incredibly increased by machines making the perfect translation. If such time does come, HiNative will be used not only for language questions but for things more related to cultural differences and opinions. Q. What are some upcoming features or updates for Lang-8? We are focusing on HiNative from now on, so we will maintain the current state of Lang-8 for a while. Q. What are some upcoming features or updates for HiNative? We will make an app and an option to upload sounds and videos. We will also make some small improvements as well. Oh, and we haven't decided the mascot character's name yet, so we will get that done. Q. 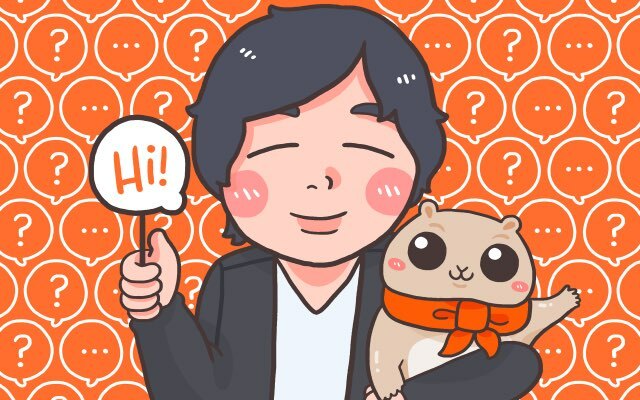 Why is your mascot character Momonga (Flying Squirrel)? I'm not sure, so I'll let our designer answer that. I wanted to use a unique character and I've never seen a flying squirrel used as a mascot for anything else. They also fly quite fast from branch to branch, and it reminds me of a scene of people chatting with and questioning each other. That is why I chose the flying squirrel for the HiNative mascot. The name hasn't been decided, but I call it "Monga-sama" with myself. The name of the Ai file that I drew the illustration in is Mongasama.ai too. We would appreciate it if you could let us know if you like the name Monga-sama, or if you have come up with what you think is a better name and why you believe it is so. Q. Do you have any other messages about HiNative to share with the Tofugu readers? HiNative is an incredibly useful and cool website, so please try it out if you're interested in learning a new language. But, being able to ask a native speaker a question and get an answer fairly quickly is quite a nice thing to have. In the past, you would have to search for an answer or ask the question on a forum, and you're never sure if anyone will answer it. Now there's an actual place for it, and if this works as well as Lang-8 does, you'll be getting answers soon after posting them. Plus, being a community environment you add the "give and take" equation in there. You help out people and they help you out. Everyone's warm and fuzzy. If you'd like to try out HiNative for yourself you can visit the HiNative website on your smartphone or tablet by clicking on the link below!